- Incredible performance – AMD Radeon graphics cards offer exceptional performance at 1080p, 1440p and 4K with DirectX 12. -Radeon FreeSync 2 HDR – With support for the industry’s mostpopular adaptive refresh display technology, Radeon Graphics bring low-latency, high-brightness pixels and a wide color gamut to High Dynamic Range (HDR) content for PC displays. 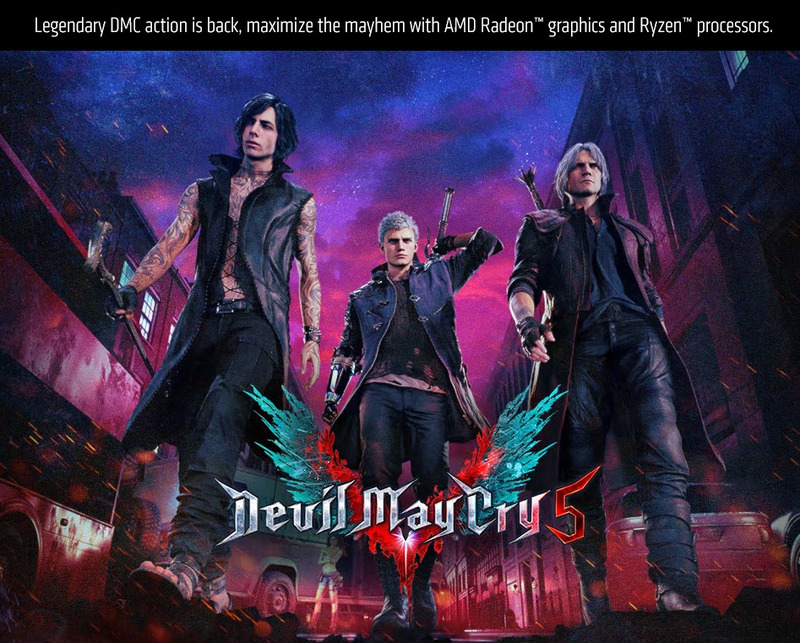 -Rapid Packed Math and FP16 Compute – AMD Radeon graphics cardsprovide improved GPU utilization, input latency, efficiency and performance via Rapid Packed Math and FP16 compute, allowing Devil May Cry 5 to achieve higher framerates and visual fidelity with applicable GPUs, including the new AMD Radeon VII. You can download the latest AMD driver here. Please let me know should you have any questions.